The Grand Slam is a 42 mile gravel and road cycle route around some great parts of the New Forest. The route is the same one used on Gravel Ride No.3 but has been renamed “The Grand Slam” in honour of the giant RAF bomb that made its’ mark here in 1945. The northern section of the ride goes through the former Ashley Walk bombing range, which is peppered with bomb craters, though the Grand Slam crater (130ft wide and 70ft deep) was filled in after the war. When the 22,000lb bomb was dropped from a Lancaster at 16,000ft it caused the largest ever explosion on British soil! More info on the Ashley Walk Bombing range can be found here. The start and finish point for the ride is Brockenhurst train station. Parking is available at the train station, but prices vary depending on whether it’s the weekend or not. As the route has long sections of gravel, a suitable bike is strongly recommended. 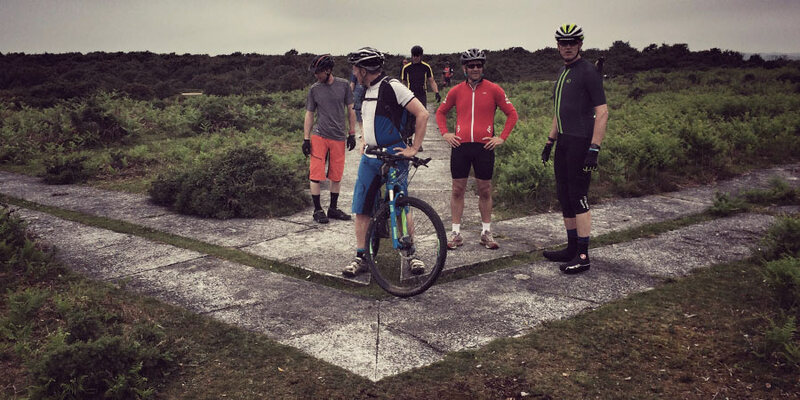 Cross or mountain bikes are available for hire from New Forest Cycle Hire which is located at the end of the southern car park at Brockenhurst train station. For a stop half way around, can recommend Hockeys Farm Shop. These guys are cycle friendly and serve great food! Hockeys are located 19.5miles into the ride at South Gorley. Extra care should be taken at Lyndhurst when turning right on the A35 to Emery Down. Overall, this is a more challenging route but the effort is worth it as you’ll not only see some real gems of the New Forest, but you will see some real history too!